SOLD to help send the Artist on a church mission trip to Costa Rica. 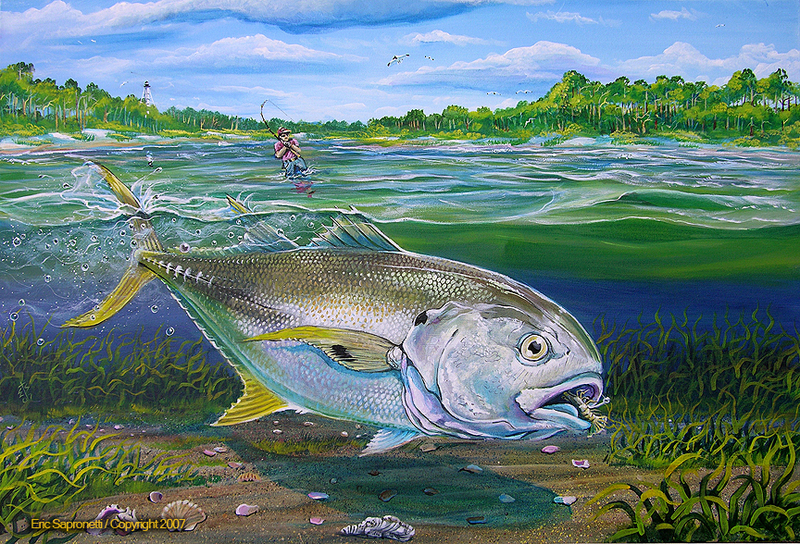 - Although not popular for their strong fishy taste, Jack Crevalle are highly sought after for their robust attack. A good size Jack Crevalle simply will not quit and they will tire you out. They have a strong pull, good head shaking action, and they tend to swim in circles once hooked. This painting is 36"x24" on stretched canvas.